Italian armour has been highly sought after throughout the centuries by knights and nobility in Europe. 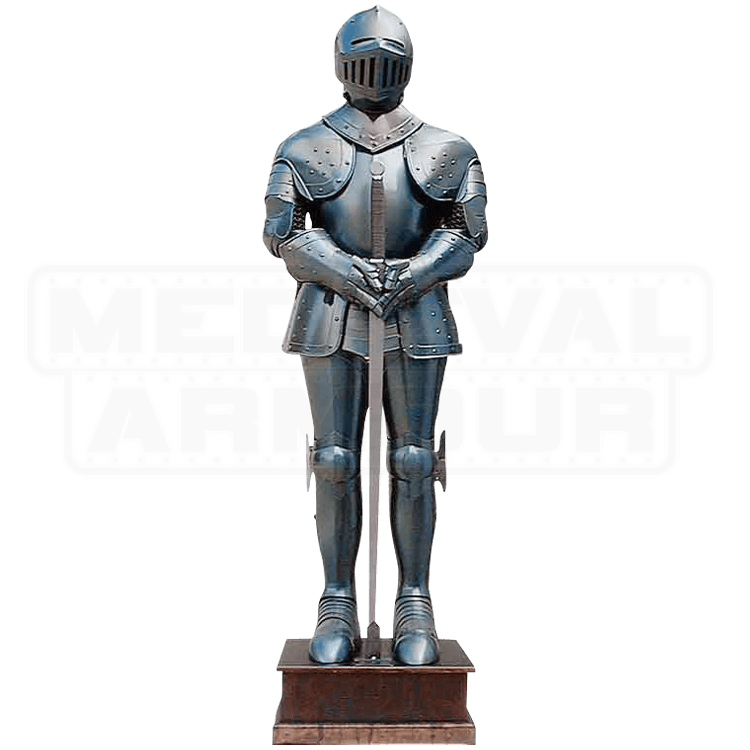 Our superb reproduction of Medieval Armour is crafted in the styling tradition of those master craftsmen who created the originals for kings and their soldiers. 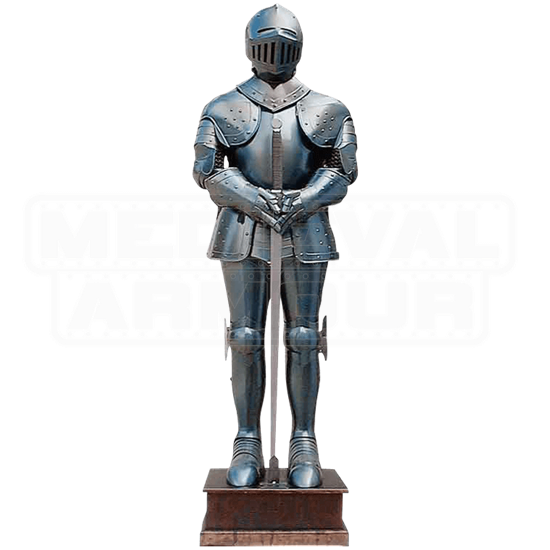 This suit of wearable articulated armour has a highly desired blued plate finish duplicating the appearance of the medieval originals that can be seen today in museum collections around the world. This exquisitely crafted blued steel armour stands about 6.5 feet tall on a quality wood base. Complete with sword and stand.